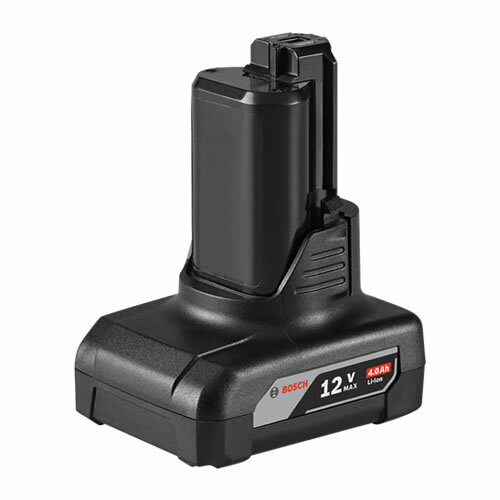 Bosch's BAT420 12V Max Battery combines Bosch's best-in-class engineering with optimal performance. Each compact robust cell packs in more energy than ever before with increased efficiency for even longer tool run times. The BAT420 is compatible with all Bosch 12V Lithium-Ion tools and chargers, making its use extremely easy and convenient across various tools. The slim and compact design makes it the perfect battery option for working overhead. With advanced pack design and cell chemistry, the Bosch BAT420 not only cools faster while you work, but also provides optimal performance, even in the most frigid temperatures (down to -4 degrees F).